Hong Kong star – educated at Harrow School in England – full of confidence as country's cricket hits new heights. 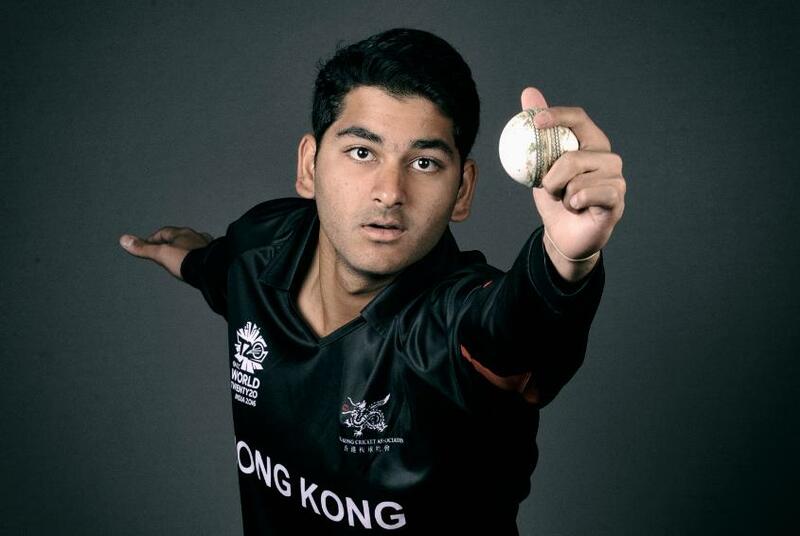 Hong Kong-born, educated at Harrow School in England, a Middlesex starlet who’s already played second XI county cricket, and now making his mark on the world stage, Anshy Rath is the free-flowing strokemaker at the heart of Hong Kong’s push to make history and qualify for their first-ever World Cup. They may have no pedigree in the 50-overs showpiece just yet, but they are unquestionably a developing cricketing culture with realistic ambitions to make a dent on the grandest stage of all. For many years, the Hong Kong Sixes held a cultish appeal for cricket lovers, and was favoured as a desirable off-season trip by many top professionals. But since then, the new 20-over Hong Kong Blitz has been introduced, giving real impetus to the region’s cricket and establishing a formal structure upon which to build. Rath is one of many local players to have benefitted hugely from the experience. “It’s done wonders,” he said, on the eve of the tournament. “You look at the level of exposure that our local players have got – not just our national players, even our domestic players – it’s been fantastic. Rath may just be 20 but is already established as the lynchpin in Hong Kong’s line-up, and his maturity was in evidence in Hong Kong’s second match, against Afghanistan. After a duck in the first match, a defeat against Scotland, the left-hander strode out at No.5 after a top-order wobble and proceeded to play classily, seeing off Rashid Khan to compile a cultured 65 from 90 balls. It was by far the most important innings of a match that Hong Kong would go on to win by 30 runs, on the DLS method. Despite his age, Rath appears to revel in the responsibility. “I’ve always said that age is but a number. You see so many different cricketers nowadays who are so young and blossoming; you see the Afghans and see Rashid Khan, 19 years of age, and Mujeeb Zadran, 16 years of age.